Bertrand Arthur William Russell (1872 – 1970), was a British philosopher, logician, mathematician, historian, and social critic. At various points in his life, he imagined himself in turn a liberal, a socialist, and a pacifist, but he also admitted that he had never been any of these things, in any profound sense. He was born in Wales, into one of the most prominent aristocratic families in Britain. Russell led the British “revolt against idealism” in the early 1900s. He is considered one of the founders of analytic philosophy along with his predecessor Gottlob Frege and his protégé Ludwig Wittgenstein, and is widely held to be one of the 20th century’s premier logicians. He co-authored, with A. N. Whitehead, Principia Mathematica, an attempt to ground mathematics on logic. His philosophical essay “On Denoting” has been considered a “paradigm of philosophy.” His work has had a considerable influence on logic, mathematics, set theory, linguistics, computer science, and philosophy, especially philosophy of language, epistemology, and metaphysics. 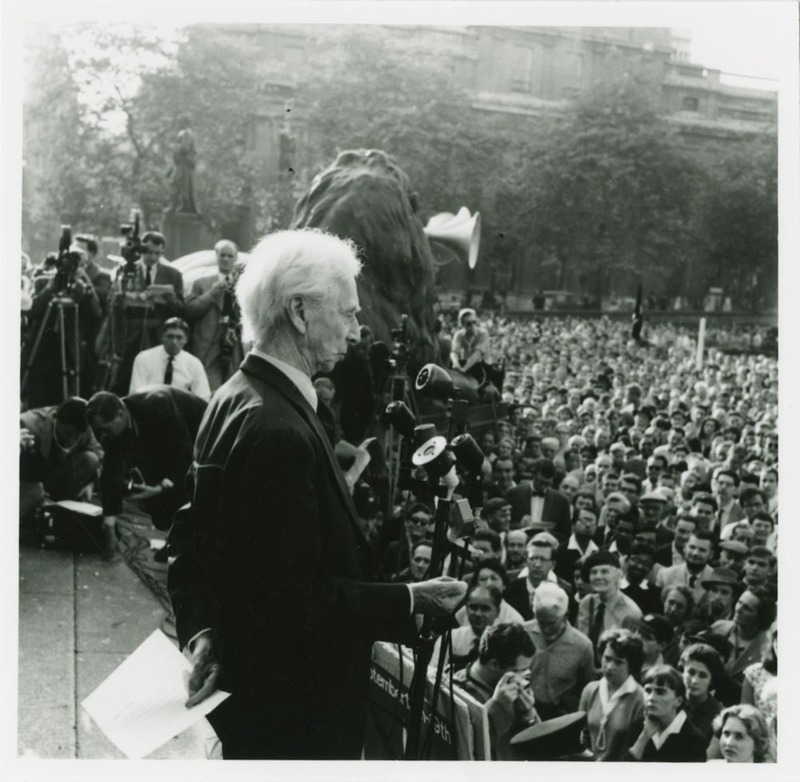 Russell was a prominent anti-war activist; he championed free trade and anti-imperialism. Russell went to prison for his pacifism during World War I. Later, he campaigned against Adolf Hitler, then criticised Stalinist totalitarianism, attacked the United States of America’s involvement in the Vietnam War, and was an outspoken proponent of nuclear disarmament. One of his last acts was to issue a statement which condemned Israeli aggression in the Middle East. To fear love is to fear life, and those who fear life are already 3-parts dead. The whole problem with the world is that fools and fanatics are always so certain of themselves, but wiser men so full of doubts. War doesn’t decide who is right, war decides who is left. It is a waste of energy to be angry with a man who behaves badly, just as it is to be angry with a car that won’t go. Men fear thought as they fear nothing else on earth — more than ruin — more even than death…. Thought is subversive and revolutionary, destructive and terrible, thought is merciless to privilege, established institutions, and comfortable habit. Thought looks into the pit of hell and is not afraid. Thought is great and swift and free, the light of the world, and the chief glory of man. Passive acceptance of the teacher’s wisdom is easy to most boys and girls. It involves no effort of independent thought, and seems rational because the teacher knows more than his pupils; it is moreover the way to win the favour of the teacher unless he is a very exceptional man. Yet the habit of passive acceptance is a disastrous one in later life. It causes man to seek and to accept a leader, and to accept as a leader whoever is established in that position. The good life, as I conceive it, is a happy life. I do not mean that if you are good you will be happy – I mean that if you are happy you will be good. 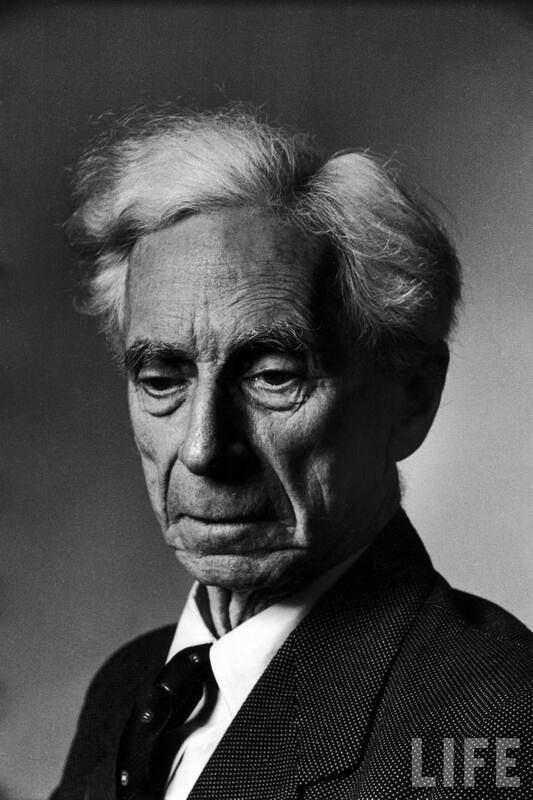 This entry was posted in Uncategorized and tagged bertrand russell, knowledge, philosophy, the quy quote, writing. Bookmark the permalink.